Traveling to certain countries is not as easy as taking out a ticket and packing a suitcase. To be able to enter some we have to meet some additional requirements, such as being vaccinated against diseases, ensuring that you have money to keep you during the trip, formalize a visa or not introduce prohibited objects. In the case of visas, it is an authorization from the country normally granted by your embassy, for which entry permission is given. Not all nations require them, so it is likely that many people are unaware of the requirements and regulations to obtain visas, which makes the organization of your trip a confusing and laborious process. In addition to having travel documentation, many countries require a visa. A visa is a document issued by a foreign country that authorizes entry to that country and allows it to remain temporarily in its territory. The type of visa depends on factors such as the duration of the trip or the reason for it (business, studies, tourism or family reunification). These authorizations are normally a printed document of the same size as a passport page, which is usually pasted into the passport. But there are also visas in the form of a stamp or with a digital format (electronic visa). In the latter case, instead of adhering to the passport, it is stored electronically in a database of the country that issues it. It is the responsibility of the traveler to know whether or not he needs a visa for his next trip, so it is advisable to check it in advance to avoid last minute problems, since the procedure may require additional documentation and the concession period is determined by the country. Although the specific requirements vary for each country, there are some common ones, such as the presentation of recent photographs, filling out an application form and presenting the current passport. You may also be asked for other information, such as an itinerary detailed travel and invitation letters. 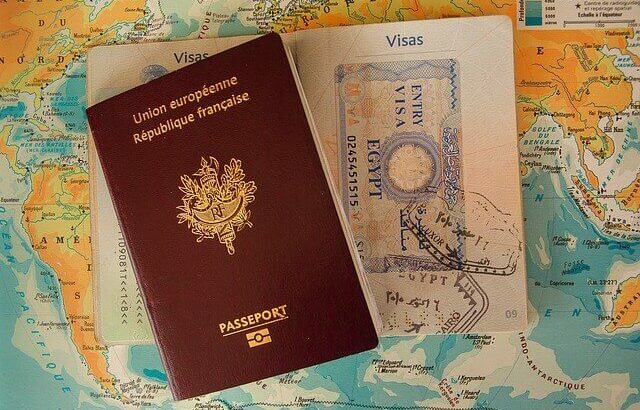 Faced with frequent changes in the requirements and regulations to obtain visas, we recommend you to inform the Consulate or Consular Section of the Embassy of the country or countries of destination accredited in Spain. In addition, visas incorporate elements to prevent their falsification, such as watermarks, holograms or electronic chips. If I have a Spanish passport, how many countries can I visit without needing a visa? If you have a Spanish passport, you can travel to most countries of the world with total freedom without having to apply for a visa. Specifically to 164 countries without the need for prior procedures. 41 of them will ask you to make the visa once you arrive in the country; while in the remaining 123 you will not need to do anything. According to the classification ‘Global Passport Power Rank 2018 passport‘, the countries whose passports open more doors abroad are Singapore and Germany, which allow entry to 165 countries. – The Spanish passport is one of the most allows to move around the planet without having to make visas beforehand. Share the second position of the previous ranking with many other countries: Denmark, Sweden, Finland, Luxembourg, Italy, France, Norway, Holland, South Korea and the United States. All these passports allow visiting 164 foreign states without a visa. Currently, Afghanistan’s passport occupies the last place: number 90. Its document only allows free entry to 31 countries. There are countries whose requirements to enter their borders from Spain are very strict. Invitations by companies, countries with only four embassies in the world, limitations of days or money (to demonstrate that we can sustain ourselves in the country), or leaving itineraries marked and without the possibility of improvisation are just some of the restrictions for traveling to China, Myanmar, Nauru, Bhutan, Sao Tome and Principe, Russia or Turkmenistan. Visas are usually issued by countries, but there is also the possibility that some territories (such as Easter Island, in Chile) or some tourist or cultural zones or monuments (such as Machu Picchu) issue their own visas in the form of a stamp. Sometimes they are not valid or necessary, but having them in our passport is always a good memory. If you are going to travel outside Spain, we recommend that you inform yourself if you need a visa in the country to which you are going to travel. It is recommended that you speak with the embassy or consulate in Spain to avoid last minute surprises. Organizing the trip and having everything under control will allow us to enjoy more, like knowing that our car is guarded 24 hours a day at WePark.